McKinley Hill is one of the newest developments in the metro. It includes residential areas and a commercial complex, specifically for BPOs. It is located in Fort Bonifacio, next door to Bonifacio Global City. McKinley Hill also houses the Chinese and Korean International Schools, Enderun College, the British and Korean Embassies, and a number of luxury and exclusive residences. There are a number of attractions that McKinley Hill offers. This includes Blue Leaf Pavilion, an events establishment. There is also McKinley Hill Botanical Garden and Town Center, with a number of restaurants and bar/cafes. 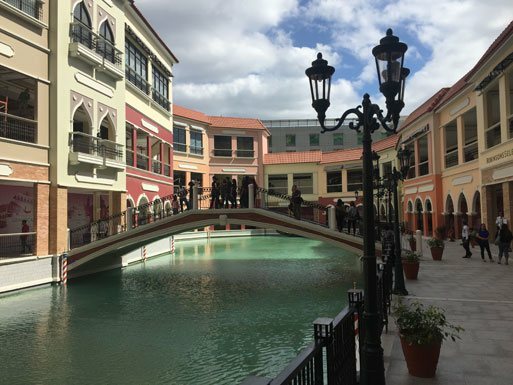 However, there is a new development there called Venice Piazza which is probably the most amazing urban development I have seen in the Philippines. Venice Piazza is basically just a shopping mall. 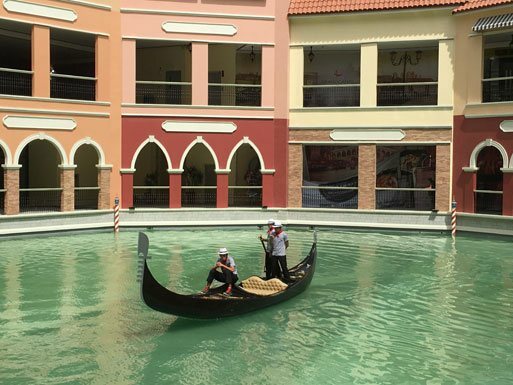 One part of the mall resembles the city of Venice, Italy, called Venice Grand Canal Mall. Having been to Venice myself, they have done a very good job of replicating Venice. The mall itself contains mostly retail shops and restaurants but really does give you the feeling you are in Venice. Complete with a canal, gondola rides and all the colourful facades, you really do feel like you are in Europe, not the Philippines. This is sure to become one of the most popular tourist attractions in Manila. 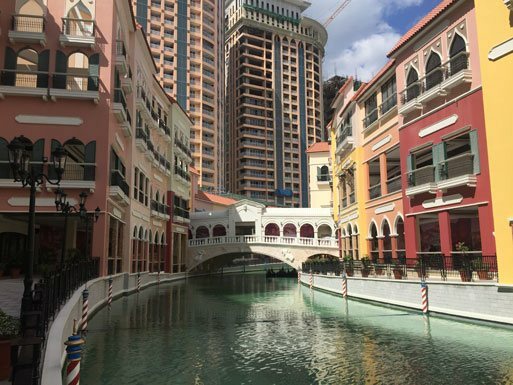 Venice Grand Canal Mall could become one of the most massive attractions in Manila. You can even have a ride in one of the many gondolas! Venice comes to the Philippines! If you have never been to Venice, never fear – this is almost a direct replica and gives you the feeling you are there in Venice. Click below to check out my vlog and show you in more detail how amazing this place really is! Venice Piazza can be reached most easily from Makati City via McKinley Road, then Lawton Ave. Lawton Ave is also the easiest access from Manila International Airport. Taxi or Uber are easy enough modes of transport to take you there. The Venice Grand Canal is an absolute must see if you are heading to Manila. This is one of the most unique shopping malls not just in the Philippines, but arguably anywhere in the world.